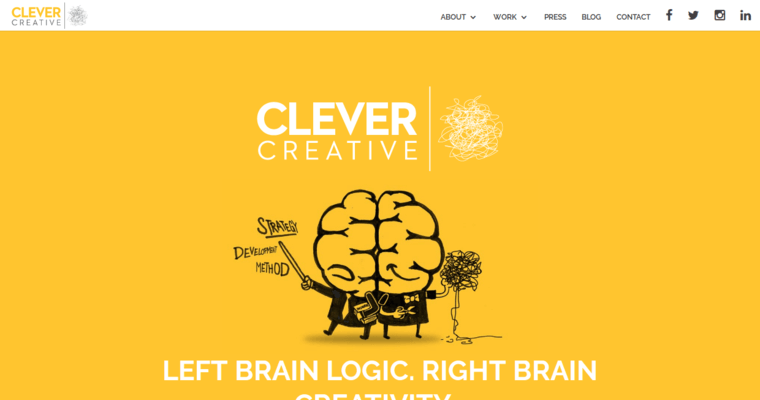 Clever Creative is an award-winning, full-service branding and design agency based in Los Angeles, CA. 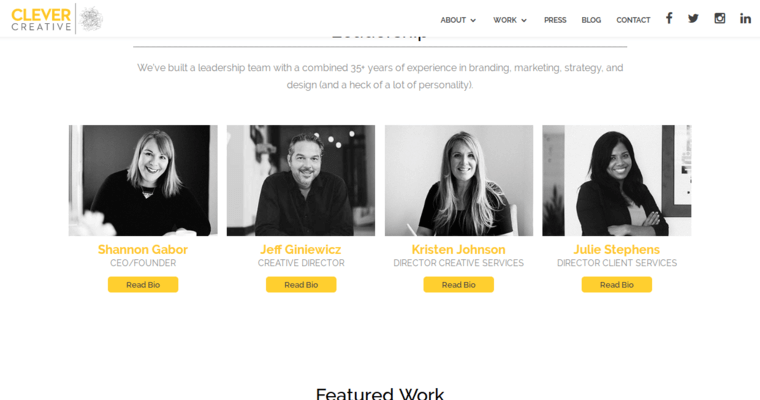 They are an agile and talented group of thought leaders who are also genuinely passionate about branding. Highly-regarded by clients, Clever Creative develops lasting partnerships and prioritizes the needs of their clients to deliver remarkable results that meet and often exceed performance targets. The experts at Clever Creative are true brand advocates. Their methods include information gathering, strategy design, ideation and the delivery of solutions that boost engagement and accelerate brand growth. The creative process involves developing and refining ideas to optimize the user experience. 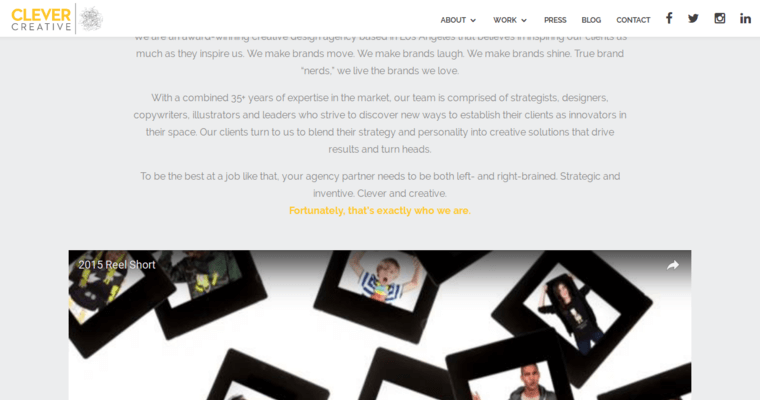 Clever Creative has worked with Fortune 500 brands across industries, such as Sephora, Starbucks and Mattel. They have an extensive list of awards that include the American Package Design Award, the American Web Design Award and the American Graphic Design Award for a Tastemade and Starbucks Coffee Book.